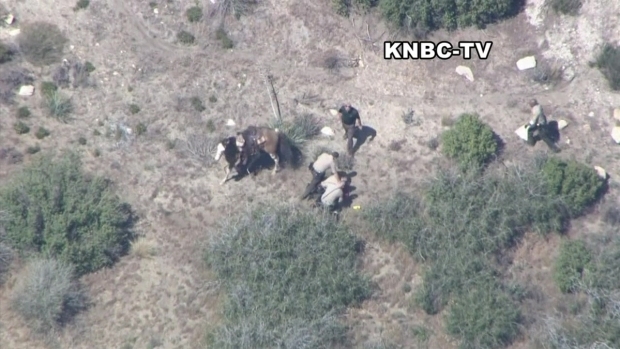 Sheriff: Arrest Beating at End of High Desert Horse Pursuit "Appears to Be Excessive"
An arrest at the end of a horseback pursuit in the high desert northeast of Los Angeles appeared be an "excessive" use of force by deputies who punched and kicked the suspect as he was sprawled out on the ground, according to the San Bernardino County Sheriff. 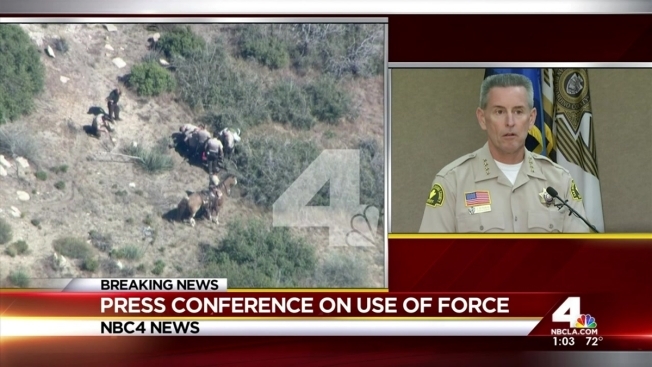 San Bernardino County Sheriff John McMahon said during a Friday news conference that he is "disturbed" by what he saw in the video obtained by NewsChopper4 Thursday at the conclusion of a chase in the rugged terrain about 90 miles northeast of Los Angeles. Teams are "working around the clock" as part of the criminal and internal investigations into the arrest and 10 deputies involved are on paid administrative leave, McMahon said. The pursuit began after deputies attempted to serve a warrant at an Apple Valley home as part of an identity theft investigation. 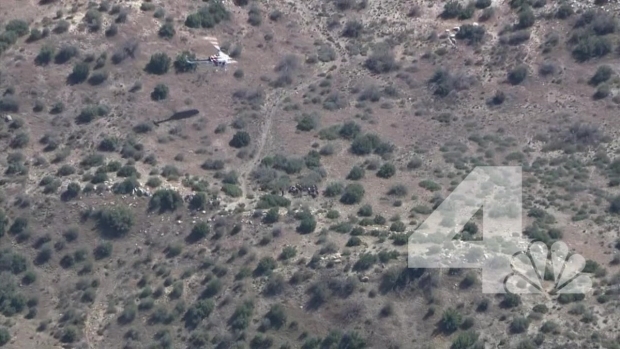 The subject left the home and led deputies on a pursuit in a vehicle through the Victor Valley before he abandoned the vehicle and stole a horse that he rode on dirt trails, according to authorities. The suspect, later identified as 30-year-old Apple Valley resident Francis Jared Pusok, was thrown from the horse and aerial video appeared to show a deputy use stun gun on him. Deputies said the stun gun was ineffective due to his loose clothing. Pusok then fell to the ground with his arms outstretched as the horse stood nearby. Two deputies immediately descended on him and appeared to punch him in the head and knee him, according to aerial video reviewed several times by NBC4. "At the end of the day, it appears to be excessive," McMahon said Friday. Attorneys for the suspect said they met with Pusok for a couple of hours at the West Valley Detention Center. He suffered several injuries to his face, possibly a concussion and a bruised eye, according to the attorneys. "He remembers being beat, and he remembers that he wasn't resisting -- that he was laying still," said attorney Sharon Brunner. "He complied immediately. He says that he didn't even move a muscle because he didn't want to be continuously beat." Pusok also claimed at least one deputy verbally threatened him. "After the whole beating, he finally thinks it's over, and an officer goes over to his ear and whispers, 'This isn't over,'" said attorney Jim Terrell. "That's why he's scared to death for himself and his family." The group surrounding the man grew to 11 sheriff's deputies. Pusok appeared to have been kicked 17 times, punched 37 times and struck with batons four times, a review of the video showed, and 13 blows appeared to be to the head. The man did not appear to move from his position on the ground for more than 45 minutes. He did not appear to receive medical attention while deputies stood around him during that time. Three deputies were injured during the search -- two suffered dehydration and another was injured when kicked by the horse. Pusok was hospitalized with unknown injuries, authorities said. He was released from the hospital and booked on suspicion of felony evading a law enforcement officer, theft of horse and possession of stolen property.